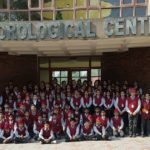 The students of Class V had a wonderful experience of ‘Learning Beyond the Classroom’ at the Meteorological Centre in Sector 39, Chandigarh. 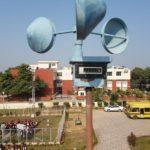 They learnt about the techniques to record temperature, wind speed, sunset and sunrise data. They also got apprised about the Rain gauge and ways to measure rain and how the pictures are sent by the satellite and the Radar. This initiative was taken by the Social Science teachers. 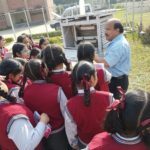 Ms Manjeet Rai and Ms. Maninder Kaur to give first hand knowledge to students.